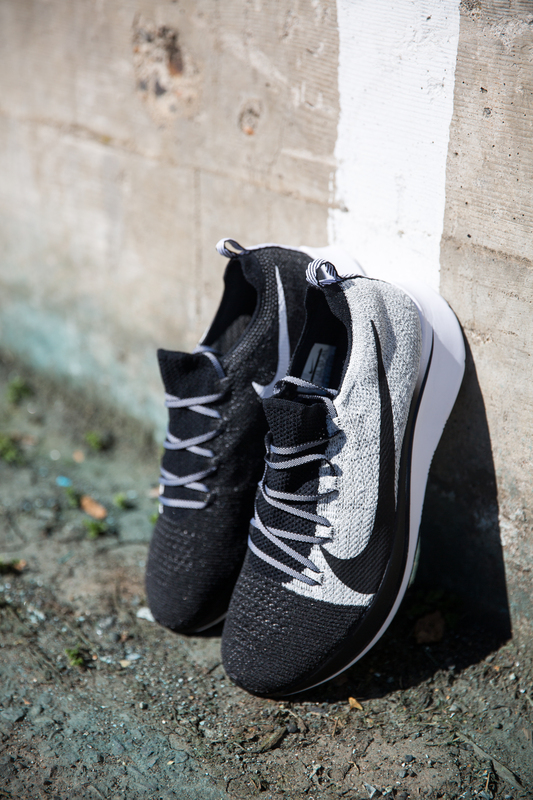 The Nike Zoom Fly Flyknit "Oreo"
Home › Articles › The Nike Zoom Fly Flyknit "Oreo"
Nike's familiar “Oreo” colorway comes to the knitted Nike Zoom Fly Flyknit. 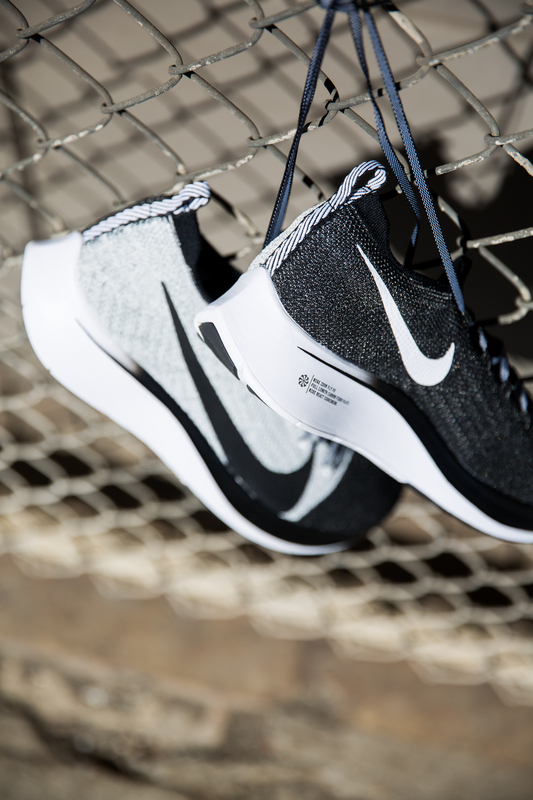 Solid black and white color blocking is present throughout the one-piece Flyknit upper with a large black Swoosh that cuts off around the midsole. 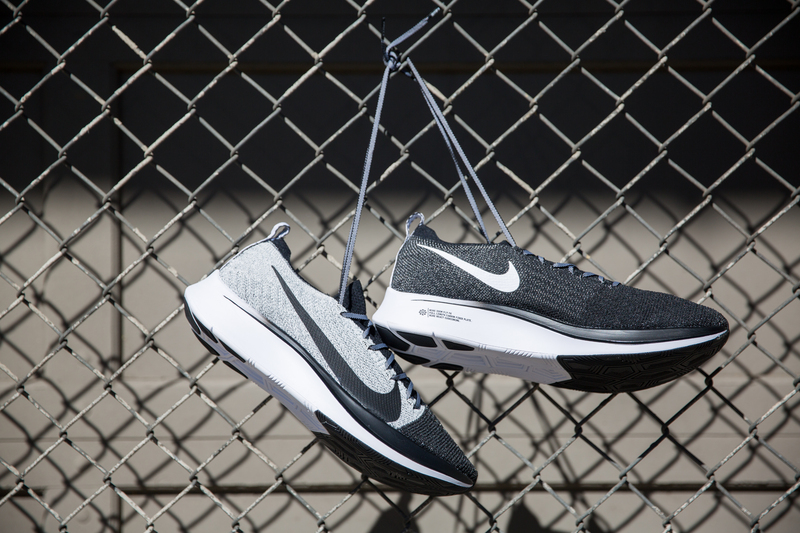 Nike knitted a brand new upper for the Flyknit version its Zoom Fly for a new take on one of its fastest shoes. 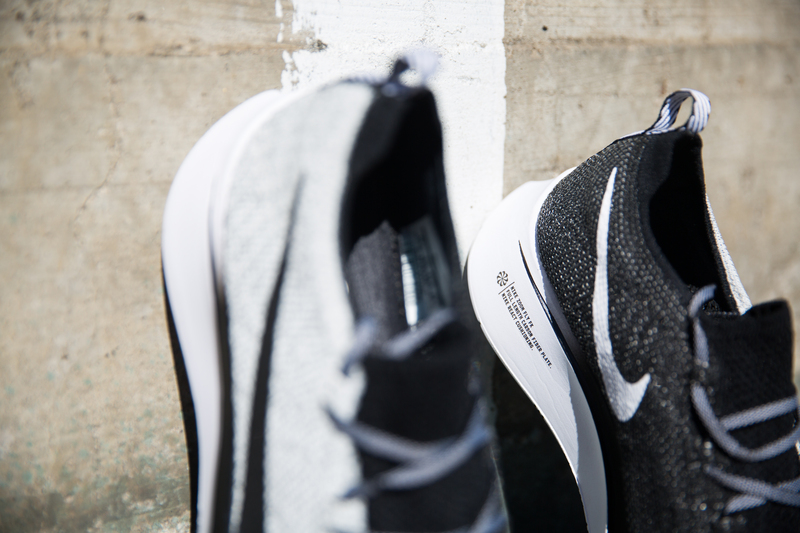 A full-length carbon fiber plate borrowed from the Vaporfly 4% gives you legendary energy return and Nike’s React midsole foam provides lightweight, responsive cushioning beneath your feet. The new knit upper uses fusible yarns to create zones of structure and support without tacking on additional weight, and it delivers a glove-like fit that swaddles your feet in comfort. Availability: Available at Fleet Feet Old Town and in alternative colors at fleetfeet.com.